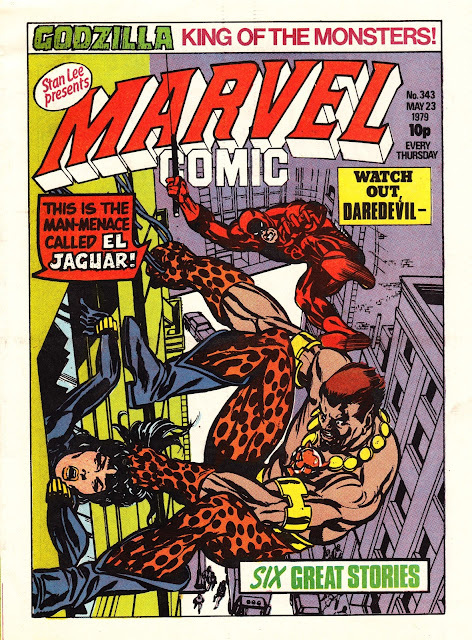 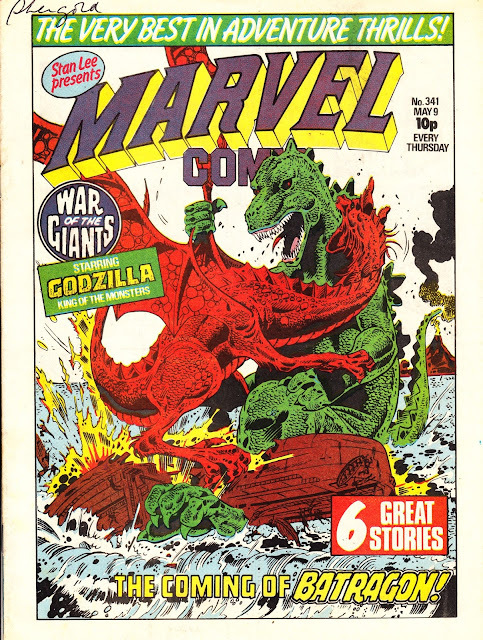 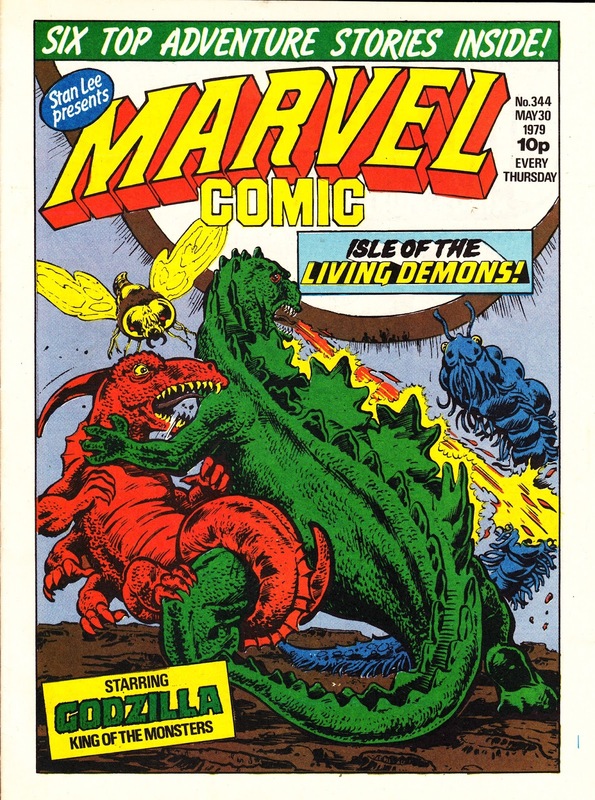 May 1979... and the MARVEL COMIC era of MWOM/ MC/ MSH continues its brief run. The significant change this month was the addition of Ms. Marvel reprints to the line-up. 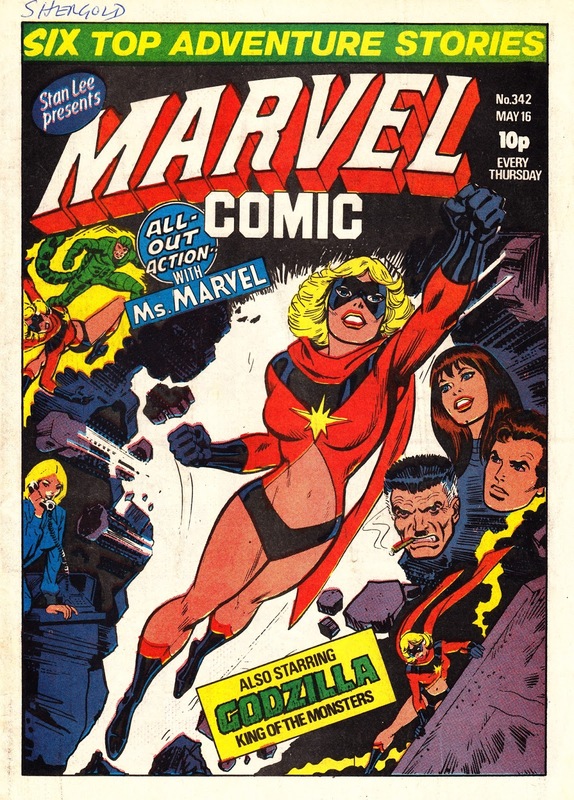 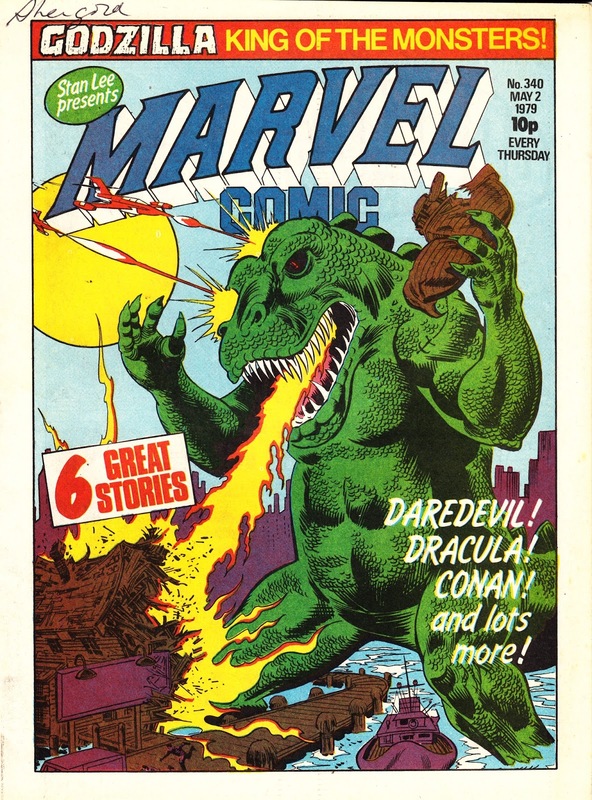 Mighty world Of Marvel had been going since 1972 and then was cancelled only a few months after its' stupid, downmarket relaunch as Marvel Comic. 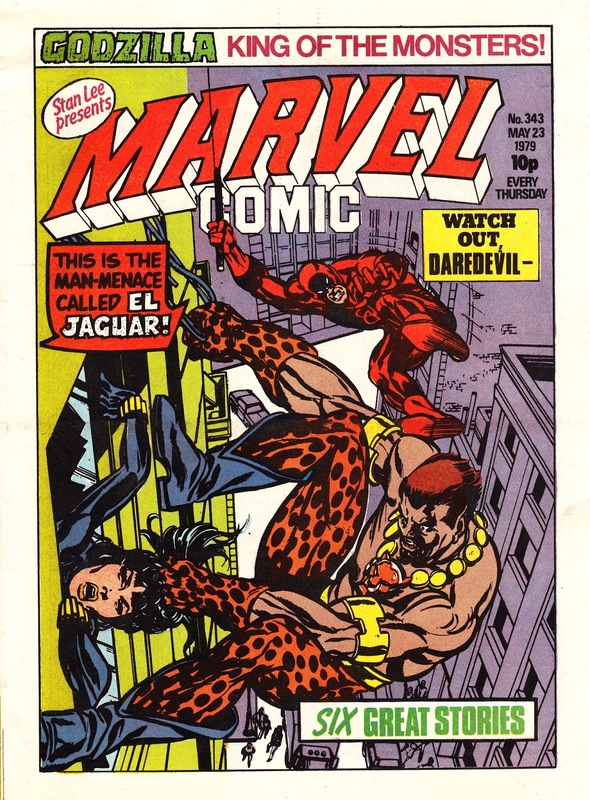 Looking at those covers reminds me why I abandoned the UK Marvel weeklies and started getting U.S. Marvel comics instead which were becoming more available. Who the hell cared about Godzilla anyway?